At the heart of the Nuru Model is a commitment to leadership sustainability and financial sustainability. The Leadership Program plays a critical role in our ability to achieve our mission. We’ve adopted the “servant leadership” philosophy, which is based on the idea that an individual can achieve far more as a leader by bringing out the best in those he or she leads. Ultimately, Nuru seeks to remove physical, emotional, and psychological constraints that prevent local leaders from effectively and permanently ending extreme poverty. Jane Omanga, Leadership Program Manager, at a Nuru Kenya leadership meeting. Local leaders and community members see themselves as change agents and not merely passive recipients of aid. Local leaders and community members become change agents by actively providing their viewpoints in open and safe environments. Local leaders are involved in both planning and managing the poverty-fighting solutions for their communities. Over time, they are trained and empowered to fully operate all programs without dependency on any expat staff. 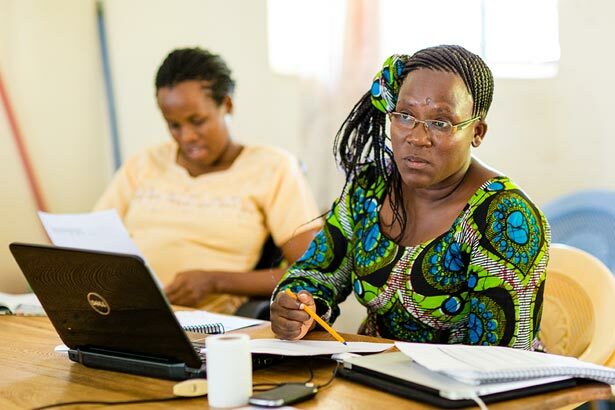 For a complete overview of our leadership philosophy, methodology, process, curriculum, monitoring and evaluation, download the Nuru Leadership Program Manual. An award-winning video about Philip Mohochi, the former Chairman of Nuru Kenya. Rather that using a direct-to-farmer development model, Nuru increasingly works through through farmer organizations. We believe that building locally-owned and managed organizations leads to increased farmer agency, improved value to the community and farmer households, and is a path towards financial and impact sustainability. Nuru defines a farmer organization as a community-owned and maintained rural enterprise that is financially sustainable and managed efficiently by its leadership with members realizing socio-economic benefits of membership. It plays a vital role in helping individual farmers change from subsistence farming to “farming as a business”. Nuru does not provide a one-time investment in farmer organizations, but rather co-invests in farmer organizations alongside farmer-members over the first few years. Initial seed capital focuses on direct business activities such as loans to farmers, farming input purchases, etc. The farmer organization is responsible for recovering loans and collecting interest payments and membership fees to sustain a revolving fund. Over time, investments shift towards developing local markets and supply chains as well as capacity building and skills development in the farmer organizations. Follow-on investments are subject to the farmer organizations meeting key performance criteria in the areas of impact, leadership and financial sustainability. To assess progress, Nuru uses a combination of SCOPEinsight scores, financial reporting performed with professional third party firms (e.g. Grant Thornton), and short and long term metrics for impact evaluation in conjunction with the Ray Marshall Center at UT-Austin. The measurement approach is coupled with a mentorship approach integrated with the capacity development curricula and the data delivered through SCOPEinsight, financial statements, and impact evaluations. For Nuru to be successful in its mission, households and communities must be able to meet their collective interests and needs, and farmer organizations must sustain organizational performance in a financially sustainable. In 2018, Nuru joined the Agribusiness Market Ecosystem Alliance (AMEA), a network of organizations working collaboratively to advance and guide the capacity development of farmer organizations around the globe. 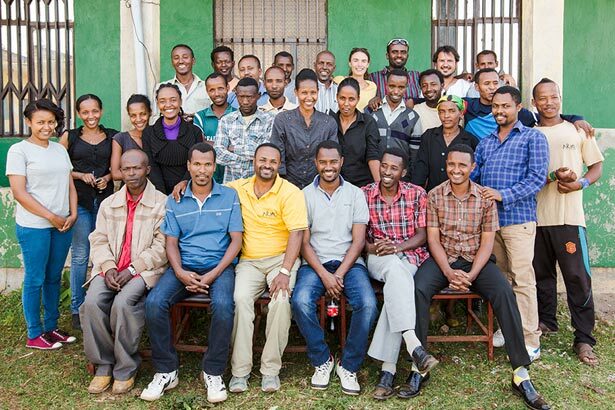 AMEA helps to accelerate Nuru’s work locally and provides a venue to listen, learn, and share with a diverse set of agricultural and development stakeholders. AMEA works to standardize the capacity development of professional farmer organizations, with the intention of enabling all stakeholders, most importantly smallholder farmers, to speak the same language across countries, commodities and supply chains. The AMEA standardized approach to training and assessment allows the best performing farmer organizations to get the credit they deserve without stringent requirements. Most importantly, AMEA members have the potential to provide farmers with the opportunity to attain greater agency and compete in the agribusiness sector.